NFL Superstar wide receiver Odell Beckham Jr. and the New York Giants are at a standstill. The Giants’ organization has grown tired of Beckham’s off-the-field issues. Tension reached a boiling point earlier this month when a video surfaced of Beckham sitting with an unidentified woman who was using an unidentified white substance. Beckham also is seeking a new contract. He is at the end of his rookie deal and is looking to be the NFL’s top paid wide receiver. New Giants’ head coach Pat Shurmur says he expects Beckham to join the team during offseason workouts. Rumors have emerged that the Giants are listening to trade offers for Beckham. The Giants would like two first round picks in return. The Los Angeles Rams have emerged as the leading candidates to acquire Beckham. It seems this saga will not end anytime soon. But, how should it end? Should the Giants Trade OBJ? The easy answer is no, or at least not at this moment. Beckham has proven to be very valuable to the Giants’ offense. At only 25 years old, he is already one of the best wide receivers in the league. Last season was proof of that. Beckham only played in four games last year due to injury. In those four games, he caught 25 passes for 302 yards and three touchdowns. At the end of the season, he ranked 4th in receptions and in receiving yards on the team. Without Beckham, Quarterback Eli Manning’s numbers suffered and the Giants’ offense struggled to put up points. The Giants desperately need him. It would be unwise to trade him at this point, especially if both sides are still negotiating. 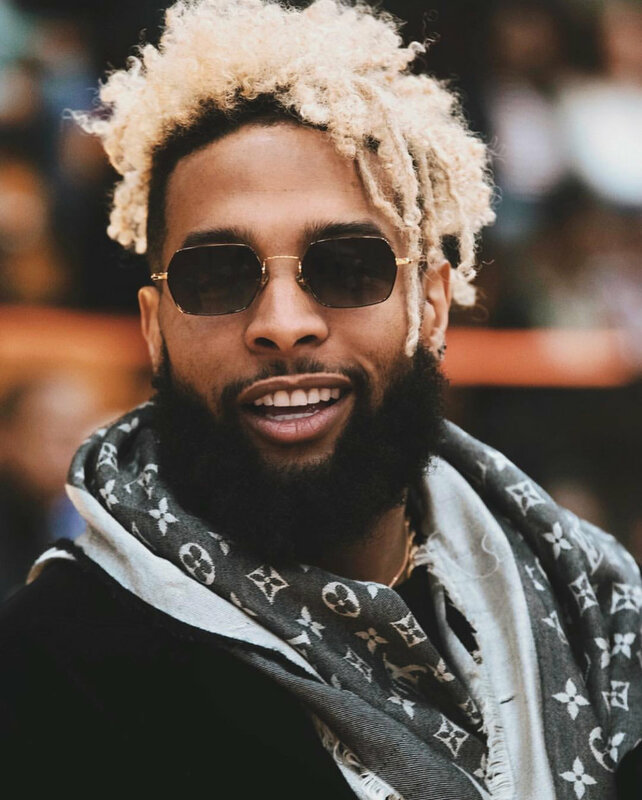 Does OBJ Deserve an Extension? If you look at Beckham’s body of work, then the answer is yes. Beckham’s production speaks for itself. Beckham has at least 90 receptions, 1,300 yards and 10 touchdowns in each of his first three years. If he was healthy last year, he would have put up similar numbers. As mentioned before, Beckham is too valuable to the Giants’ offense. His presence alone makes defenses think twice on how to cover him, opening other throwing options for Manning. Before the Giants extend his contract, they need to make sure he is 100 percent healthy and committed. On the other hand, Beckham needs to make sure he can trust the Giants to rally behind him in the face of controversy. In conclusion, both sides need to give each other one more shot. Beckham must understand the Giants have a right to be cautious because he is coming off an injury and he is still prone to make immature mistakes. The Giants need to help with the maturation process. He is only 25 years old. He is only beginning to understand his worth and morals. Although the Giants love him and would rather have him remain on the team, they must accept him as a person first and not just as a highly talented player.